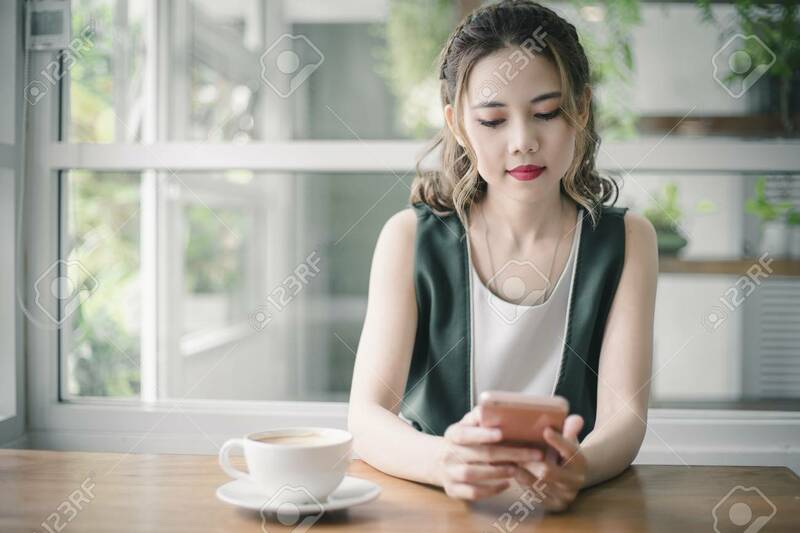 Young Beautiful Asain Lady Touching And Browsing Her Smart Phone At Home. Royalty Free Fotografie A Reklamní Fotografie. Image 107324014.